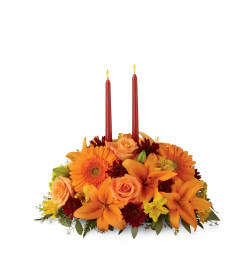 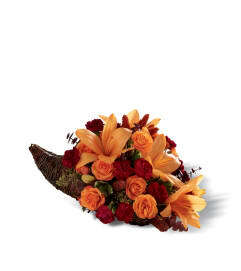 The FTD® Fall Fire™ Bouquet blooms with the bold, rich colors of the autumn months to create a warm and unforgettable gift. Rich red roses are paired with orange bi-colored Asiatic Lilies to create a harvest display your special recipient will love. 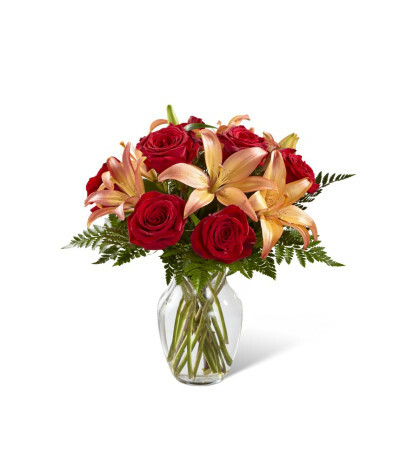 Presented in a clear glass vase , this bouquet glows with gratitude and fall's best hues to create a wonderful thank you, thinking of you, or happy Thanksgiving Day gift.